If you are looking for an excuse to get everyone join you for the party, there is a perfect day for you! Every year World Party Day (P-Day) is celebrated on April 3. So, get your friends together, buy favorite snacks, and get your music player out, because today is the day to let loose. World Party Day was created with the thought that individuals have the right to be happy through social fun and positivity. The opposite of war is not peace, rather, ‘party’ is the real opposite of war – this is the fundamental idea about the day. The concept of this day was first noted in 1995 after the publication of ‘Flight’, a quantum fiction novel by Vanna Bonta. The U.S.A, England, Thailand, France, Italy and China are some of the major cities and regions where you will get to see a notable celebration of the World Party Day (P-Day). T-shirts are one of the coolest pieces of clothing. Every year we get to see new trends, but the one trend that always rules the industry is that of t-shirts. 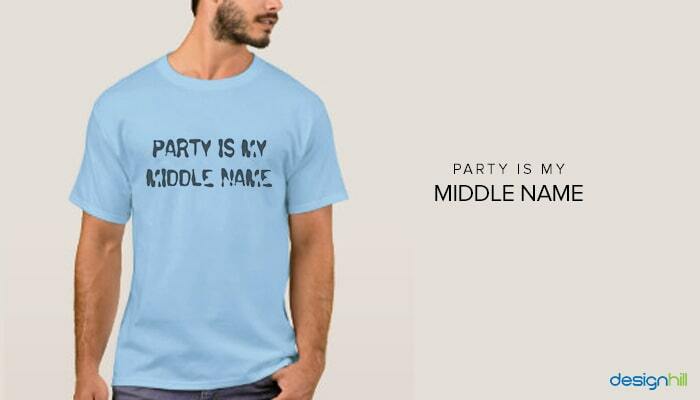 No matter what the occasion is, custom t-shirts make you stand out from the crowd. Since the last few years, the trend of custom t-shirts has grown tremendously. According to a report, the custom t-shirt printing market is expected to cross US $10 billion by 2025 worldwide. 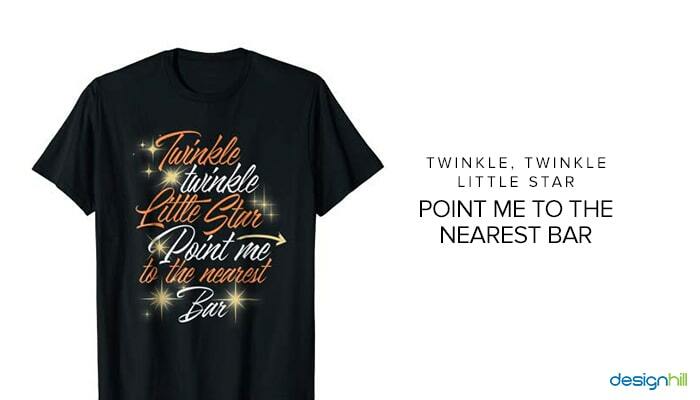 You may get a custom t-shirt both online and offline, but coming up with a great design requires little assistance, especially if you are creating it for a special event or occasion like World Party Day. So, to help you out, we have come up with custom T-shirt design for your group. We are sure that these designs will not only make you stand apart but also make you talk of the town. 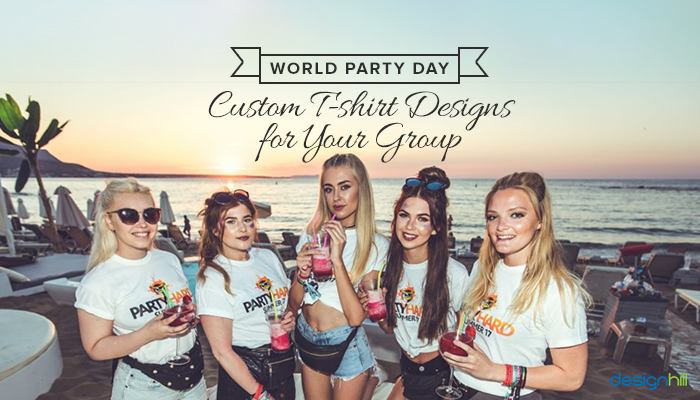 Here is a list of Custom T-shirt design ideas that you can use for yourself or your group on the occasion of World Party Day. 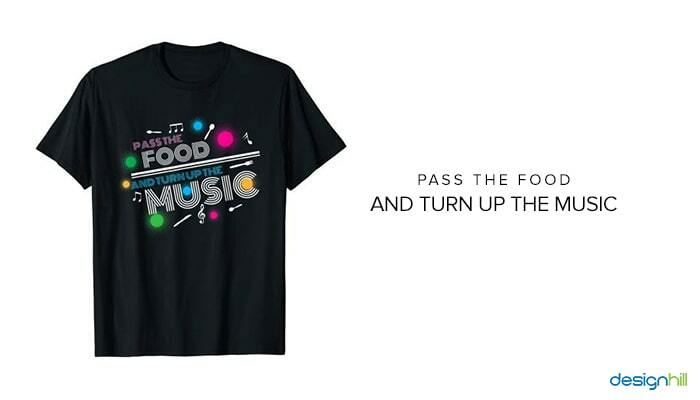 Since the concept of World Party Day is to make people wear their best, bring their best, act their best and ‘pass the food and turn up the music’ at the party, this t-shirt design perfectly suitable for the day. Design the t-shirt with musical note icons to give a groovy doovy feel. It is another great t-shirt design to celebrate the universal celebration day. By using this design, you can create custom t-shirts either by placing your group image below/above the quote or by putting the image of two glasses of beer/wine/whiskey (choose your poison). You may find this text simple, but you can make it catchy and notable by adding the images of funny dancing move prints in between the text. Complete you look with a custom hat and you are all set for the party. 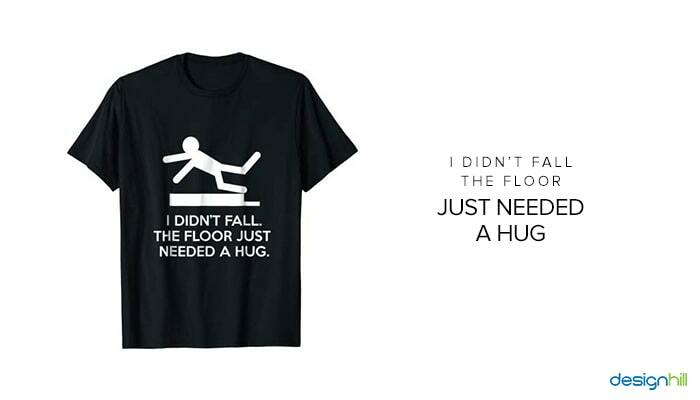 We are sure that this humorous t-shirt design will surely make you stand apart in the crowd. This funny quote truly conveys that you are all set to party hard. 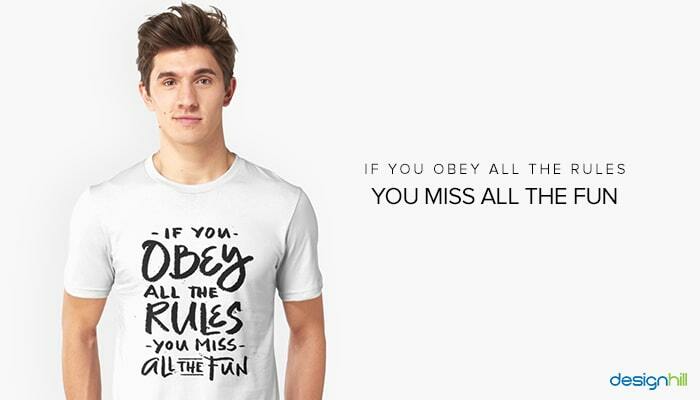 When it comes to designing t-shirts with just quotes or sayings, then everything is about typography. Design your own t-shirt by using our t-shirt maker tool. The tool let’s users to design t-shirts within minutes. Life is not a bed of roses. We all deal with problems which sometimes makes us feel demotivated. Some of us may think of partying during that time. Wearing a t-shirt with the quote makes you feel motivated. It may change your attitude towards problems. Don’t forget to wear it on World Party Day. You never know you may help someone in changing their mindset too. Who likes to drink beer alone? We guess no one. 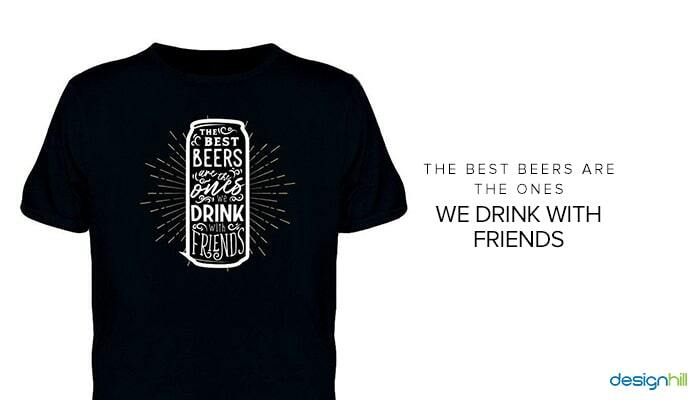 We all have that one beer buddy to whom we can call any time of the day or night and can have beer along with them. Since World Party day is just around the corner, it can be the perfect group tshirt design for the day. And why for this day only? You can wear it whenever you are going out to a party with your friends. Who says alcohol is a problem? 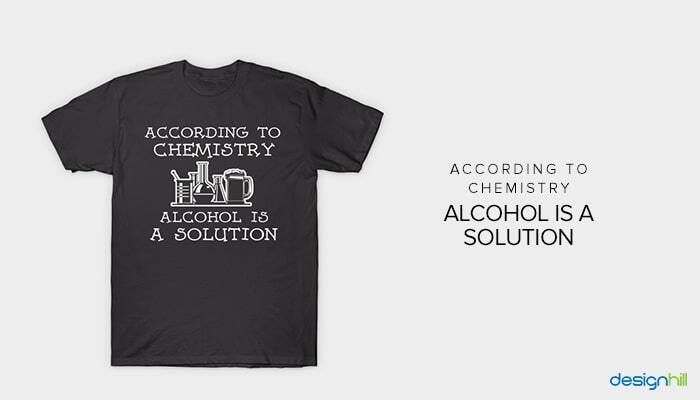 According to Chemistry, it is a solution. What a clever excuse to get drunk. You can not celebrate the World Party Day without this t-shirt design. Want to get it designed? Hire a freelance graphic designer and get it created your way. When you are drunk, you certainly forget things. You don’t have the idea what you are doing or saying. 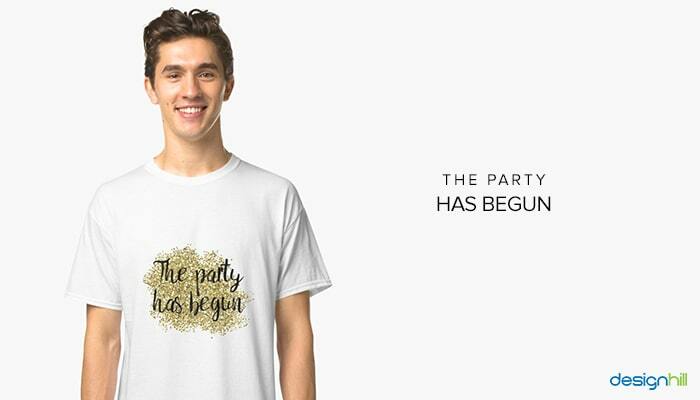 This party day tshirt is perfect for those who do not want to get blamed for any wrong doings. 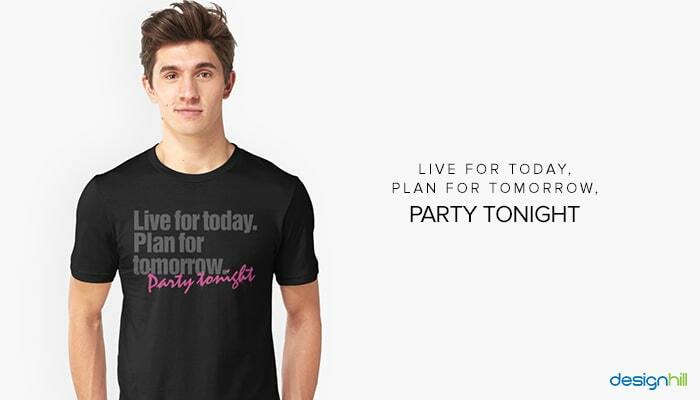 If you are someone who loves to party almost every day, then this can be a perfect party day tshirt for you! The best part of this motto is that you can create endless possibilities with that. For instance, Danger is my middle name or Irish is my middle name. Do you know that the originally this t shirt was designed during the Word War-II to raise the morale of British people? The t-shirt design became so popular that soon it became a mantra around the world. Today, you can see the endless possibilities with this rhyming motto. Many people allow their mind to worry about the future and forget to live in the present. They forget that true happiness is enjoying the present without thinking much about the future. Get this t-shirt for such people and take them to the party. It will help them in forgetting their worries for the time, and you never know this may help them in changing their mindset too. You must have seen that there is always a person in a group who is obedient and follow certain rules. Well, there is nothing wrong in doing that, but those people often miss the chance of having fun. They always wait for that right moment, but every time they think it’s not the right time and misses the fun. 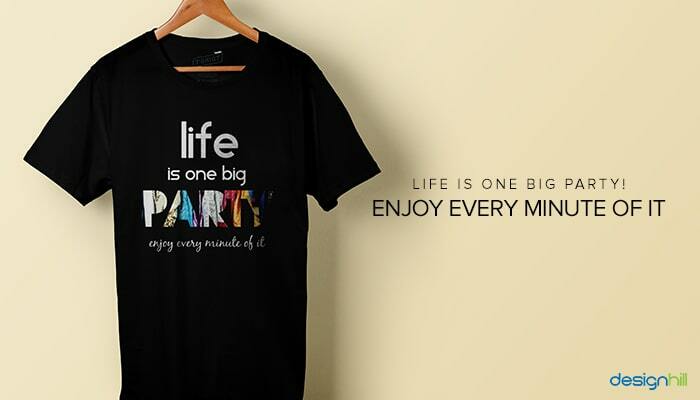 On this World Party Day, gift this party day tshirt to that friend and make them realize if they obey all the rules they miss the opportunity of having fun. 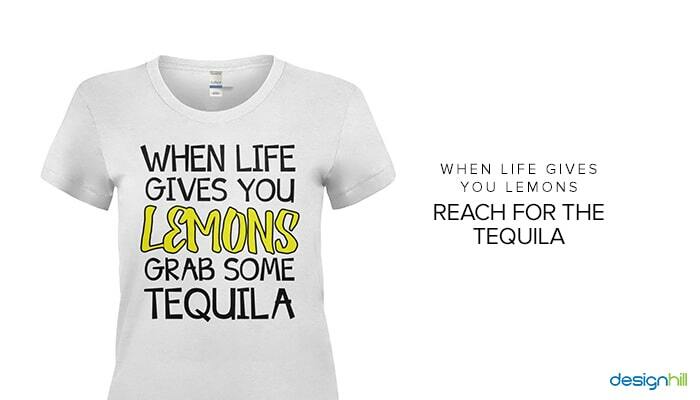 If you are planning to celebrate World Party Day at a well-known taquila bar, then you can’t miss this t-shirt design. Are you thinking of where to get this t shirt printing done? Use our t-shirt logo maker tool and get your t-shirt design within minutes. You can either choose the design either from in-built design library or even upload your own designs as well. People drink, dance and sometimes roll on the dance floor. 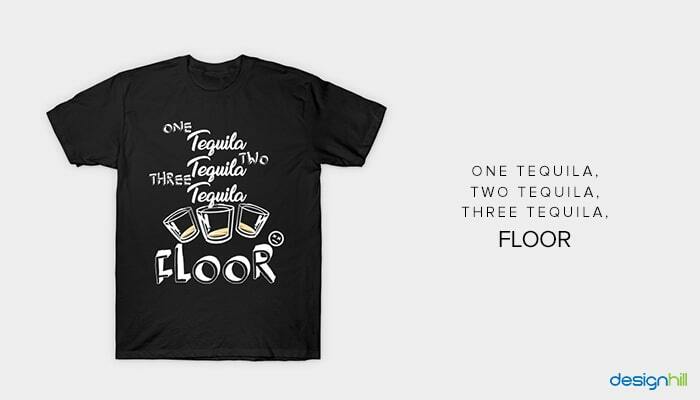 This t-shirt design is for those who love to dance till the end of the party and needs a clever reason to roll on the floor. 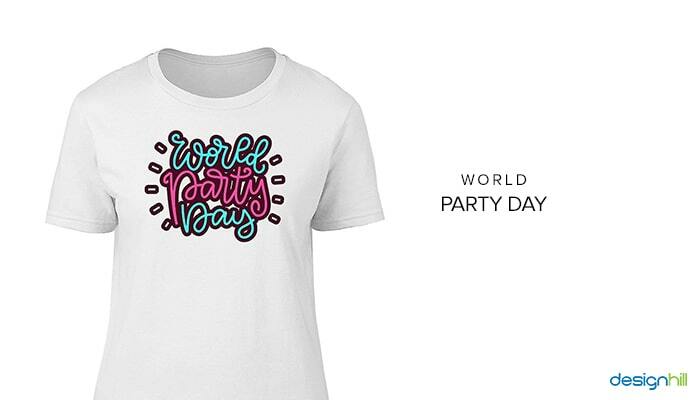 If you have someone who gets tired of day-to-day life, gift this t-shirt to them and take them to celebrate the World Party Day. Want to design custom t-shirts? Use our t shirt maker tool. The tool helps its users to design as many t-shirts as they want within a short span of time. So true! 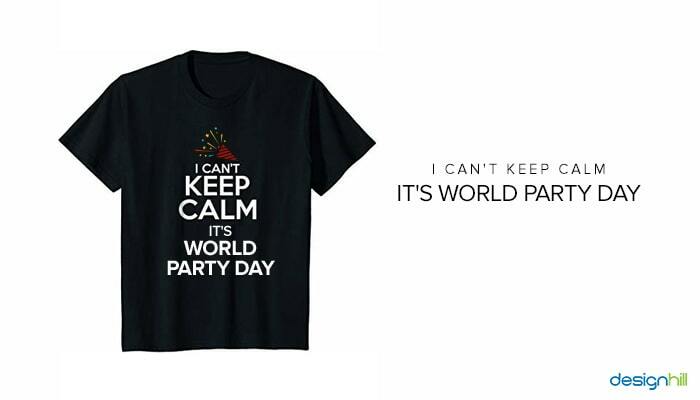 Celebrate the World Party Day with this funny quote t-shirt. 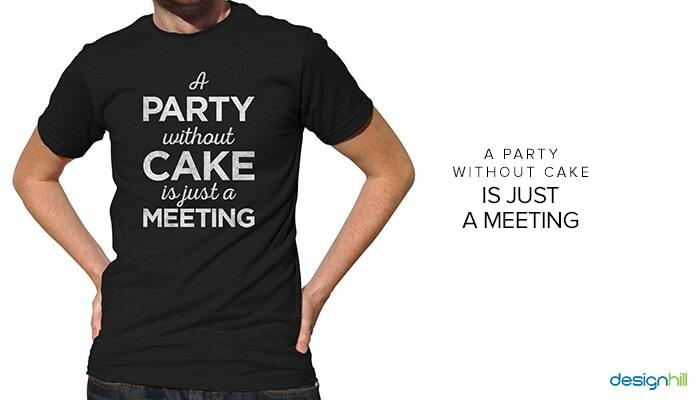 Don’t forget to take a cake along with you at the party. Share the cake with people out there. People will always remember you. It is actually one of the famous slogans of the brand Pringles. But we thought to put this slogan under our World Party Day custom t-shirt designs. You can either go with this design or may choose to have your own bottle image. The choice is totally yours! Wow! 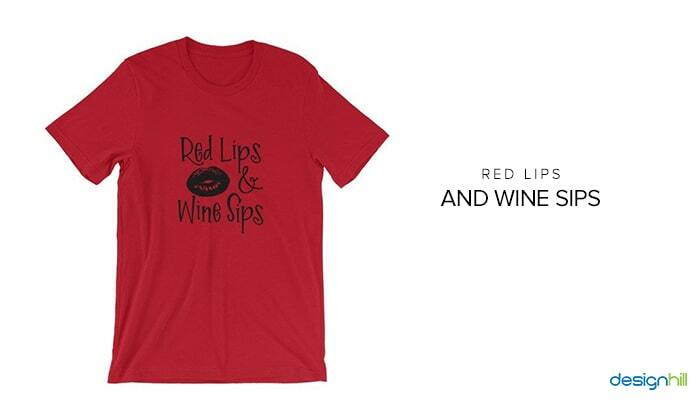 Both red lipsticks and wines are favorite among girls. If you are planning to celebrate the World Party Day with your girl gang, then this can be the perfect t-shirt design for you. 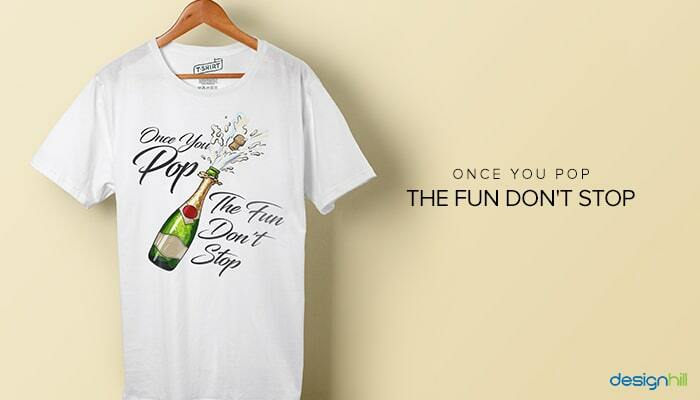 We are sure that this t-shirt design will surely make you and your girls talk of the town. 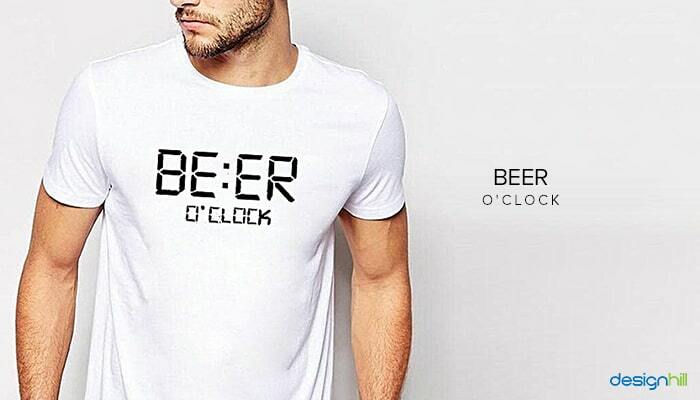 Though for people who love to drink beer, there are no fixed timings to have it. But this can be a great t-shirt design for them to celebrate the World Party Day. Want to get it design for your group? Designhill should be your single stop for all your graphic designing needs. 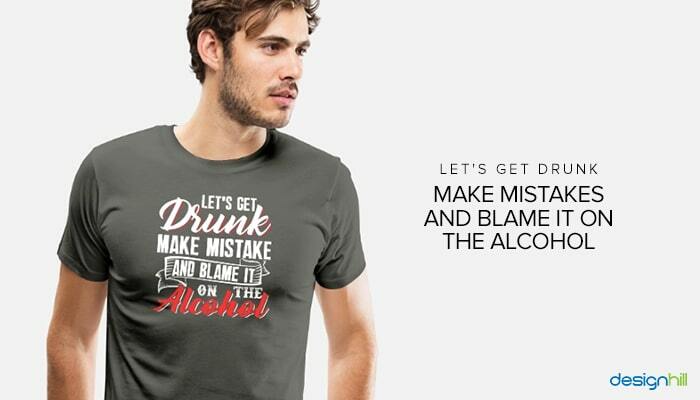 This t-shirt design is perfect for those who do not require any reason to drink alcohol. 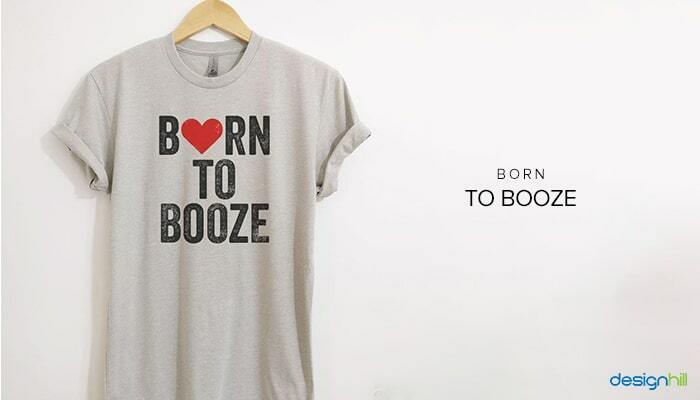 They are so addicted to that they think that they are born to booze. Get this t-shirt for yourself and your group and show everyone at the party that you guys have put on this earth to drink alcohol. So, Where’s The Party Tonight?